Image Comics recently announced the release of Thought Bubble 2017 Anthology #6, set for release in September, with proceeds to benefit the UK-based children’s charity Barnardos. 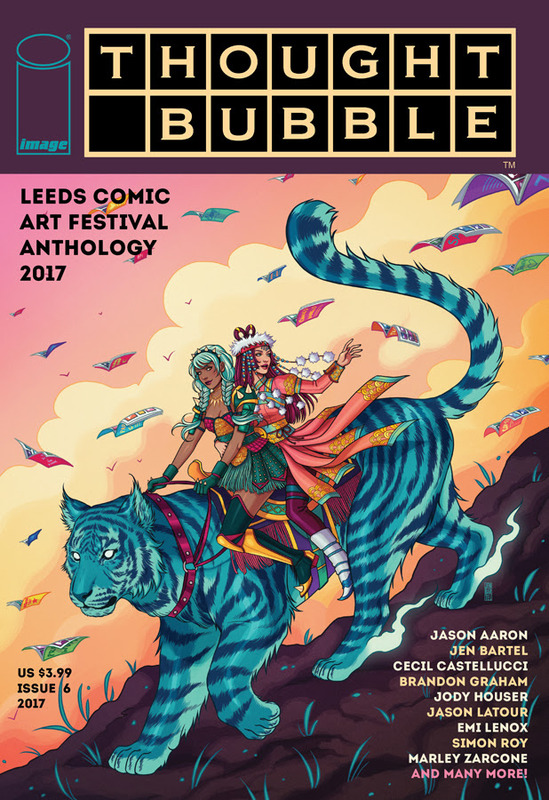 Thought Bubble 2017 Anthology #6 is a collection of new short stories for the UK’s Thought Bubble Comic Art Festival, on display in Leeds, Northern England from September 18th to 24th, 2017. The Thought Bubble Anthology will feature fresh work from top creators, including Jason Aaron, Jen Bartel, Cecil Castellucci, Brandon Graham, Jody Houser, Jason Latour, Emi Lenox, Simon Roy, Marley Zarcone, and more. Thought Bubble 2017 Anthology #6 is set to arrive in comic stores on Wednesday, September 20th.